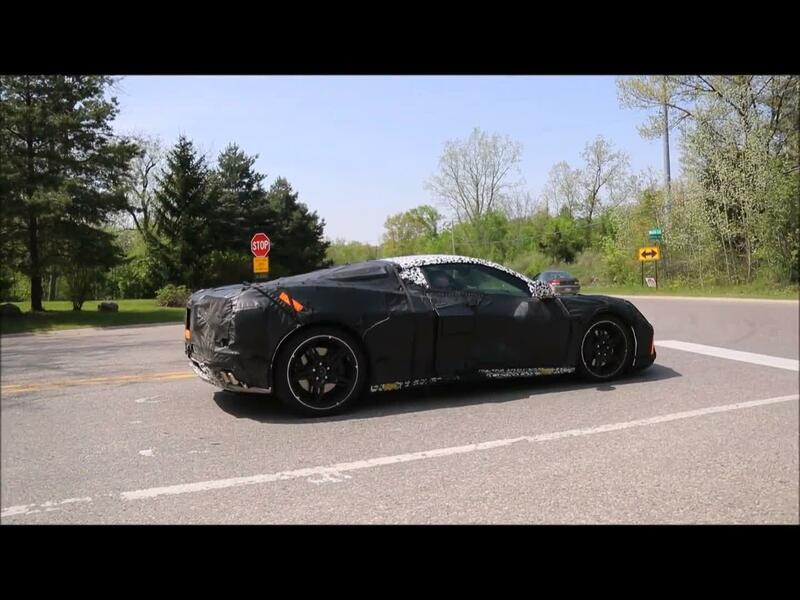 We've already heard and seen the C8 Corvette, a mid-engine supercar that we expect will be a 2020 model, driving around in traffic. But we haven't seen it running around at a track yet. This video partially informs us what the C8 will be like when driven in anger. In the video, the car stops several times before performing a track launch, with a tiny bit of wheel chirp. We see the LED turn signals flash, too, underneath the bodywork. They have a squared off aspect, much like the C7 lights we're used to now. They're a little more clearly exposed than in the last shots of the rear we showed you. The video was shot from some distance, so unlike the on-road video there's not much throaty burble coming through for the brief moments when it's at idle. However, when it takes off, the C8 sounds menacing and its transmission rips off shifts fairly quickly, with little perceptible throttle lift. That gearbox is almost certainly a variant of the GM 8L90 automatic that also sees duty in the Corvette ZR1 and other C7 'Vettes — it shifts quickly, can handle a lot of power and is already produced in transaxle form for the Corvette, but there are also rumors out there that a Tremec dual-clutch could be fitted. The video isn't definitive proof either way. One thing's for sure: it's definitely packing a V8. And it's got some hustle. We've been waiting decades for Chevy to finally make the mid-engine Corvette they've been talking about. It seems the wait is almost over.